I want to pray for such as these and others for the rest of my life. For decades, from 1979 to be exact, I knew and loved the great icon of the Face Painted without Hands, the Acheiropoieta, in the Eastern Tradition. I have one such Russian icon in my room here. I had known that St. Therese of Lisieux had a great love for the Holy Face of Jesus, but I did not know how prevalent this devotion was until 2011. 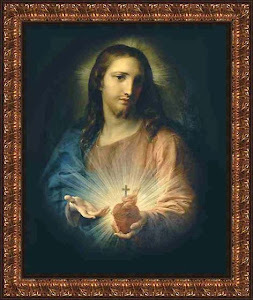 In that year, my dear friend Bernie shared with me her love of the Holy Face of Jesus, and then, when I went to Malta for the first time that year, in the Jesuit Church of the Circumcision, I saw a painting of the Holy Face for honoring Christ, and for intercessory prayer. Synchronicity. The Carmelites love the image of the Holy Face because of the Little Flower, and include it in their prayers. This devotion may be traced back to Veronica's Veil, when Christ blessed the Jewish woman's kindness with a miraculous image, forever imprinted on her veil. 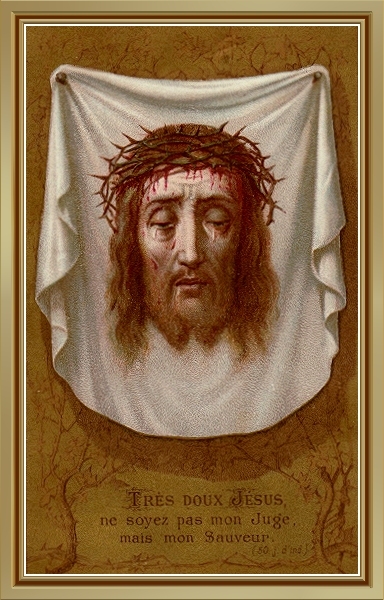 The showing of the Shroud of Turin has also sparked new love for the Holy Face. In my old parish in Surrey, England, there is a group of people who pray in reparation for sins of blasphemy, using the devotional booklet connected to the The Golden Arrow Holy Face Devotion, a set of prayers coming from the visions of the Carmelite nun, Sr. Marie of St. Peter. Hence,...the Carmelite love of the Holy Face truly began with this nun, born years before Little St. Therese found the devotion to her liking. 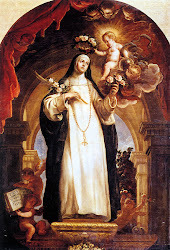 In these visions, Sr. Marie of St. Peter heard these words from Christ, "Those who will contemplate the wounds on My Face here on earth, shall contemplate it radiant in heaven" and especially in France, and then in England, this devotion spread among the laity, as well as among the nuns of Carmel. I have a little booklet with this devotion in it, and here is the prayer of reparation against blasphemy to the Name of Jesus and to the Eucharist. The Venerable Leo Dupont is called The Apostle of the Holy Face, btw. One can find references to him online. He was instrumental is promulgating Adoration of the Holy Eucharist as well as furthering the devotion of the Holy Face. He has the feast day of December first, same as Edmund Campion. In addition, Pope Pius XII declared the Tuesday before Ash Wednesday, Pancake Day, as the Feast of the Holy Face. Saint Therese of the Child Jesus and the Holy Face. Today is the feast day of Blessed Peter To Rot...an amazing lay man. Here is St. John Paul II's beatification address from 1995. His image is on a stamp and a phone card. I wonder if he is the only Blessed on a phone card! In fact, there are two versions of the phone card. Ol brata na susa bilong mi, Tenkyu tru long bikpela welkam yupela I givim long mi hastede long ples balus. Mi lukim bilas bilong ol manmeri ol I welkamim mi, na bel bilong mi I kirap tru. Bilas bilong yupela ol pipel bilong Papua Niugini I nais moa moa yet. "Rejoice... insofar as you share Christ’s sufferings" (1Pt. 4: 13). 1. Today, the People of God in Papua New Guinea repeat these words of the Apostle Peter with fervent hearts. You rejoice because the Universal Church recognizes that your fellow countryman, Peter To Rot, shared Christ’s sufferings to the point of martyrdom and has been found worthy of being numbered among the Blessed. With the joy which this occasion brings, I greet the People of God in Papua New Guinea. I thank Archbishop Kurongku and the whole Archdiocese of Port Moresby for the warm welcome given to me. Archbishop Hesse and the Catholic community of Rabaul would have liked this Beatification to be held in the place where Blessed Peter To Rot lived and was martyred. With love and solidarity, my thoughts turn to all the inhabitants of New Britain – those present here and the great majority unable to attend – who have been affected by the recent volcanic eruption. I gladly greet all my Brother Bishops, all the priests, Religious and laity of this land and of the Solomon Islands, and those who have come from other Islands of the vast Pacific, and from Australia and New Zealand. I extend my hand in friendship to our Brothers and Sisters of other Christian Churches and ecclesial communities. I thank all the civil authorities for their presence at this solemn ceremony. The first Blessed from Papua New Guinea begins a new epoch in the history of the People of God in this country. Martyrdom has always been a part of the pilgrimage of the People of God through history. In the Old Testament Reading of this Mass, the Second Book of Maccabees tells the story of Eleazar’s unflinching fidelity to the holy law of God, his readiness to accept death rather than compromise with evil. Faced with the supreme test, he says: "Although I could have escaped death, I am not only enduring terrible pain in my body from this scourging, but also suffering it with joy in my soul because of my devotion to God" (Mk. 6: 30). Likewise in the New Covenant. Beginning with the deacon Stephen (cf. Acts. 7: 54-60) and the Apostle James (Ibid. 12:1-2), the New Testament records that a "great cloud of witnesses" (Cf. Heb. 12: 1) gave their lives in order to profess their faith in Christ and their uncompromising love for him. And down the centuries, glorious pages of the Church’s Martyrology have been written in every generation. The sons and daughters of many Churches in Asia are inscribed in "the archives of truth written in letters of blood" (Catechism of the Catholic Church, n. 2474). I myself have had the grace of canonizing the Korean and Vietnamese Martyrs. We can also recall Saint Paul Miki and his Companions, martyred in Japan; Lorenzo Ruiz, the first saint of the Philippines; and Saint Peter Chanel who suffered a martyr’s death in the Islands of the Pacific. Throughout this century the "faithful witnesses" have been present in great numbers (Cf. John Paul II, Tertio Millennio Adveniente, 37). The wars, concentration camps and intolerance of our own time have yielded a rich harvest of martyrs in many parts of the world! Also in Papua New Guinea where there were many Christians belonging to the various Churches and ecclesial communities who gave the supreme witness. Today your fellow countryman, Peter To Rot, an honoured son of the Tolai people, a catechist from New Britain, has been listed among them. The Church everywhere sings praise to God for this new gift. 2. The sufferings caused by the recent tragic eruption have drawn the Christian community of New Britain closer to the Martyr Peter To Rot. In God’s saving plan, "suffering, more than anything else, makes present in the history of humanity the powers of the Redemption" (John Paul II, Salvifici Doloris, 27). Just as the Lord Jesus saved his people by loving them "to the end" (Jn. 13: 1), "even to death on a cross" (Cf. Phil. 2: 8), so also he continues to invite each disciple to suffer for the Kingdom of God. When united with the redemptive Passion of Christ, human suffering becomes an instrument of spiritual maturity and a magnificent school of evangelical love. 3. Blessed Peter understood the value of suffering. Inspired by his faith in Christ, he was a devoted husband, a loving father and a dedicated catechist known for his kindness, gentleness and compassion. 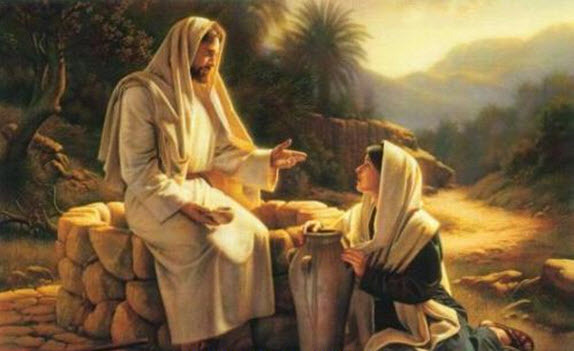 Daily Mass and Holy Communion, and frequent visits to our Lord in the Blessed Sacrament, sustained him, gave him wisdom to counsel the disheartened, and courage to persevere until death. In order to be an effective evangelizer, Peter To Rot studied hard and sought advice from wise and holy "big men". Most of all he prayed – for himself, for his family, for his people, for the Church. His witness to the Gospel inspired others, in very difficult situations, because he lived his Christian life so purely and joyfully. Without being aware of it, he was preparing throughout his life for his greatest offering: by dying daily to himself, he walked with his Lord on the road which leads to Calvary (Cf. Mt. 10: 38-39). 4. During times of persecution the faith of individuals and communities is "tested by fire" (1Pt. 1: 7). But Christ tells us that there is no reason to be afraid. Those persecuted for their faith will be more eloquent than ever: "it is not you who will be speaking; the Spirit of your Father will be speaking in you" (Mt. 10: 20). So it was for Blessed Peter To Rot. When the village of Rakunai was occupied during the Second World War and after the heroic missionary priests were imprisoned, he assumed responsibility for the spiritual life of the villagers. Not only did he continue to instruct the faithful and visit the sick, he also baptized, assisted at marriages and led people in prayer. When the authorities legalized and encouraged polygamy, Blessed Peter knew it to be against Christian principles and firmly denounced this practice. Because the Spirit of God dwelt in him, he fearlessly proclaimed the truth about the sanctity of marriage. He refused to take the "easy way" (Cf. ibid. 7: 13) of moral compromise. "I have to fulfil my duty as a Church witness to Jesus Christ", he explained. Fear of suffering and death did not deter him. During his final imprisonment Peter To Rot was serene, even joyful. He told people that he was ready to die for the faith and for his people. 5. On the day of his death, Blessed Peter asked his wife to bring him his catechist’s crucifix. It accompanied him to the end. Condemned without trial, he suffered his martyrdom calmly. Following in the footsteps of his Master, the "Lamb of God who takes away the sin of the world" (Jn.1: 29), he too was "led like a lamb to the slaughter" (Cf. Is. 53: 7). And yet this "grain of wheat" which fell silently into the earth (Cf. Jn. 12: 24) has produced a harvest of blessings for the Church in Papua New Guinea! Yes, the wisdom of the Gospel tells us that eternal life comes through death, and true joy through suffering. In order to understand this we must judge by God’s standards and not by man’s (Cf. Mt. 16: 23)! This morning’s Reading from the First Letter of Peter says: "Happy are you when you are insulted for the sake of Christ, for then God’s Spirit... has come to rest on you" (1Pt. 4: 14). These words apply to Peter To Rot. They describe the particular "blessedness" of those "from every tribe and tongue and people and nation" (Rev. 5: 9) who suffer martyrdom in every age of the Church. In God’s eyes, those persecuted for their fidelity to the Gospel are truly blessed, for their "reward is great in heaven" (Mt. 5: 12). 6. I am particularly happy that there are many catechists here from all over Papua New Guinea. You, dear catechists, are "direct witnesses and irreplaceable evangelizers... the basic strength of Christian communities" (John Paul II, Redemptoris Missio, 73). From the beginning, the work of lay catechists in Papua New Guinea has made "an outstanding and indispensable contribution to the spread of the faith and of the Church" (Ad Gentes, 17). In the name of the whole Church I thank you for the sacred work which you are doing. May God reward and bless each one of you. The Martyr’s example speaks also to married couples. Blessed Peter To Rot had the highest esteem for marriage and, even in the face of great personal danger and opposition, he defended the Church’s teaching on the unity of marriage and the need for mutual fidelity. He treated his wife Paula with deep respect and prayed with her morning and evening. For his children he had the utmost affection and spent as much time with them as he could. If families are good, your villages will be peaceful and good. Hold on to the traditions that defend and strengthen family life! 7. A special greeting to the many young people who are here. Blessed Peter is a model for you too. He shows you not to be concerned only about yourselves but to put yourselves generously at the service of others. As citizens, you should feel the need to work to improve your country, and to ensure that society develops in honesty and justice, harmony and solidarity. As followers of Christ guided by the truths of the Gospel and the teachings of the Church, build on the solid rock of faith and do your duty with love. Do not be afraid to commit yourselves to the task of making Christ known and loved, especially among the many people of your own age, who make up the largest part of the population. 8. For the Church in Papua New Guinea the Beatification of Peter To Rot opens a new period of Christian maturity. In the history of the local Church in any country, the first native-born martyr always marks a new beginning. For this reason, as Pastor of the universal Church, I have fervently desired to share this great joy with you and join you in giving thanks to God for the first Blessed of Papua New Guinea. To the intercession of the new Blessed I wish to commend with special affection the people of Bougainville, who for six years have been suffering the tragic consequences of violence, war and destruction. I extend a special word of encouragement to Bishop Gregory Singkai and the Church in Bougainville, who are bearing a heavy physical and spiritual burden. I earnestly appeal to all sides in this dispute to negotiate a settlement in a spirit of goodwill and constructive openness. I pray that the discussions which have recently been initiated will soon lead to a just and lasting peace, with respect for the legitimate aspirations and rights of all concerned. May reconciliation and harmony once more prevail, so that the reconstruction which all yearn for can begin. To the people of New Britain, the fellow countrymen of Blessed Peter To Rot, Martyr-catechist of Rakunai, I repeat the words of the Letter of Peter: "Rejoice... insofar as you share Christ’s sufferings" (1Pt. 4: 13). Your recent tragedy has made you like your Martyr, different in the kind of suffering you have had to undergo, but like him configured to the Passion and Death of the Lord. The crucified Jesus is the sign of God’s unfailing love for every one of his children, for each and every one of you. Mi laik bai yupela i tingim Peter To Rot oltaim. Yupela i mas tingting oltaim long bilip bilong em; yupela i mas tingting oltaim long famili laif bilong em; yupela I mas tingting oltaim long wok bilong em. Bikos Peter To Rot I soim rot long yumi. Em I soim rot long yumi olgeta, tasol moa yet long ol famili bilong PAPUA NIUGINI na long ol yut na long ol manmeri ol I autim tok bilong God long ol pipel. Yupela amamas! Olgeta wari bilong yupela i ken tanim i go kamap amamas gen. Amen. (I want you to remember Peter To Rot always. You must think always of his faith; you must think always of his life in the family; you must think always of his work as a catechist. Because Peter To Rot shows us the way. He shows the way to all of us, but especially to the families here in PAPUA NEW GUINEA and to the youth and to all those men and women who preach the word of God to the people. My brothers and sisters from Papua New Guinea, from the Solomon Islands, I share deeply with you in this beatification. The first Beatus from your country, from your people, from your Church. My congratulations to each and everyone of you, to the Bishops, to the priests, missionaries, catechists, to all the catechists, a great feast of all the catechists everywhere in the world – your families... And God bless you and your families and your catechists and all of you, everyone of you, the Church and the society. I shall return again soon to St. Teresa Benedicta of the Cross, but I want to sum up a few ideas regarding prayer in times of turmoil. One of the hardest things to do is to create and keep order in times of chaos. We are not God, who can create ex nihilo. We need something to use to create something, like the raw material of our lives. What both St. Teresa Benedicta of the Cross and Titus Brandsma show us is not only the need for intense prayer in times of struggle, but the possibility of praying in times of trouble. I have been learning this lesson myself in the past several months of turmoil in my life, turmoil which has included multiple moves, unsettled housing difficulties, financial problems, and the loss of treasured goods because of stealing. On top of this have been two health issues which cannot be addressed until I am in a place for some time. But, God does not want me to put my prayer life on hold while I figure out how to put order into my daily life. He expects me to do at least the minimum of some of the Monastic Diurnal, or Divine Office, go to daily Mass, read the Scriptures and or holy books, and meditate or do affective prayer and intentional, also called acquired, contemplation. No waiting for a perfect situation--if that were the case, I would never pray. 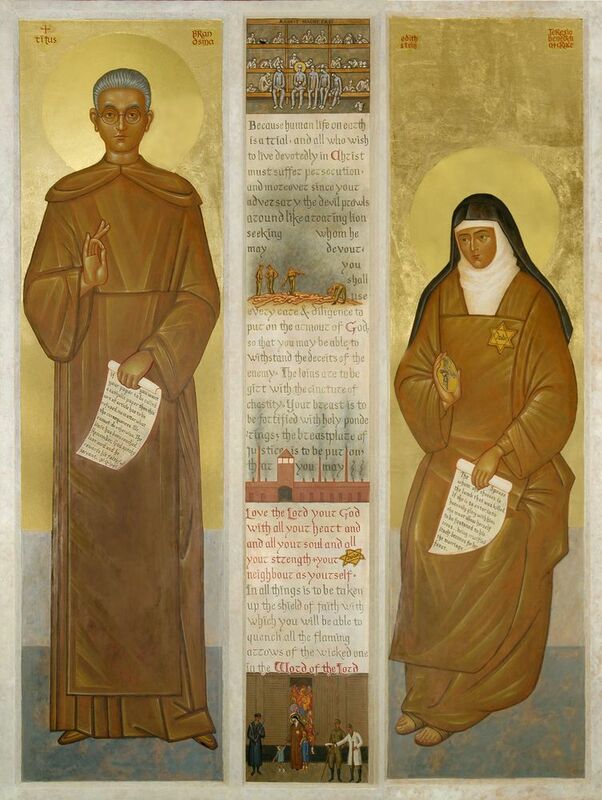 These two saints teach us this lesson--they were both being harassed by an evil regime. They were under stress for themselves, their families, their congregations. But, they prayed through anxiety to peace, and prepared for the ultimate offering of their lives to God in martyrdom. Yesterday's Compline reminds us that the Prayer of the Church, the Office, said by both these saints in their Carmelite way, sustains us daily. Here is a key to the Carmelite way-private prayer, meditation, finally, contemplation, through the Dark Night to illumination, and, in the case of these two saints, union through martyrdom. Take time, set time aside daily. Make meeting God your priority. Embrace your cross. These saints show us the way. With a little interruption on the devotion to the Holy Face, I shall come back to Edith Stein...but after a look at that devotion, on to Elizabeth of the Trinity, again. I shall return to St. Teresa Benedicta when the book I am borrowing comes in. If any readers want to help me with the purchase of some of those at the bottom of the last post, let me know. 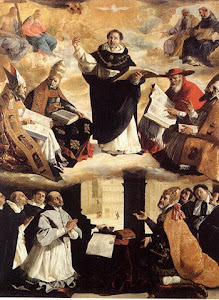 One thing all these saints have in common, from the humble Brother Lawrence, to the great Ignatius, and all here to be covered, is the awareness that there is no holiness without first expiating for one's sins and the complete absence of vices earned through the Dark Night of purgation. The illuminative states of prayer cannot happen without this purification, a theme I have stressed over and over in the perfection series. Life events can purged one of sin, such as hardships, failures, the loss of status. Some have told me that a brush with death saved them and brought them on the road of prayer which leads to purgation. Not one saint skipped this step, and here, in the life of Blessed Titus Brandsma, we see a great purging brought on, through the Will of God, by suffering and martyrdom. But, what of the prayers connected to this type of suffering and how can one incorporate such suffering into the daily life of the prayer of the laity? Are you suffering with a long illness? Are you suffering grief, from the loss of a loved one? Is your family torn apart by sin? How does such a creative man as Titus Brandsma speak to us in our routines of busyness and even, sadness? First of all, Blessed Titus was a busy man, and in his writings, he was not afraid. His prayer life, that of a mystic Carmelite, trained in silence and discipline, led him to stand up against the marginalization and finally, planned destruction of the Jews early on in his career. 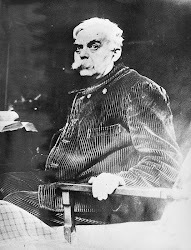 His career as both an educator, where he refused to hand in the names of Jewish children to the authorities, and his career as a publisher, wherein he refused to print the propaganda of the Nazis, led directly to his arrest and death. A man of action whose life was underpinned by prayer, in the midst of the obvious stages of persecution of Jews, and Catholics who continued to believe and protect the dignity of all--this was Blessed Titus Brandsma. How does the peaceful retreat-like setting of Carmel feed such a courageous soul? Prayer which makes one face one's sin makes one totally dependent on God. St. John of the Cross described the terrors of the Dark Night. Titus Brandsma met these in Dachau, but he was ready for such suffering before his arrest. The desolation of the desert of the spirit-the Dark Night of the senses and spirit, in which one is called to pursue God through faith alone would have prepared Titus for his ordeal. What has this type of holiness got to do with a busy lay person, a dad, a mum, a student? No experience should be wasted by non-reflection. Reflect on everything which happens. God speaks daily to us in events, through people, even in nature around us. Waste nothing. Remember that love is in the will. One wills to love others, God...Titus would have loved the Jewish people even under threat, not only in his heart but in acts of the will, as times became dangerous for him. Being faithful to moral teachings of the Church, as we are witnessing today, means suffering. Titus has to accept this reality by focussing on Christ and not himself. Testing in God, like the loss of a job, a spouse, friends, is only as valuable as prayer and reflection make these. Take time to respond to events by examining where, how, when God is involved in your life. 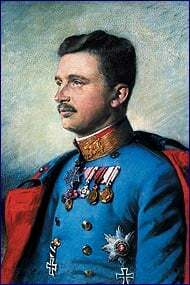 Titus grew, most likely, through testing--first in the warnings given to him by the Nazis, then through the warnings he received from his superiors, and finally in the solitude of his prison cell. Blessed Solitude. I already feel completely at home in this little cell. I haven’t been bored at all, in fact just the opposite. I am here alone, but never was our Lord so close to me. I could shout for joy that He has again let himself be found by me without me being able to be among people or people with me. He is now my only refuge and I feel safe and happy. I would like to stay here always, If He wills that. I have seldom been so happy and so content. Now you are asking me what all these has to do with prayer in the home? That Titus Brandsma "held down" full-time jobs and manage to give time to God in order to face martyrdom. We make choices daily for truth and these choices come out of our life of prayer. Of course, Mary, Our Lady of Mt. 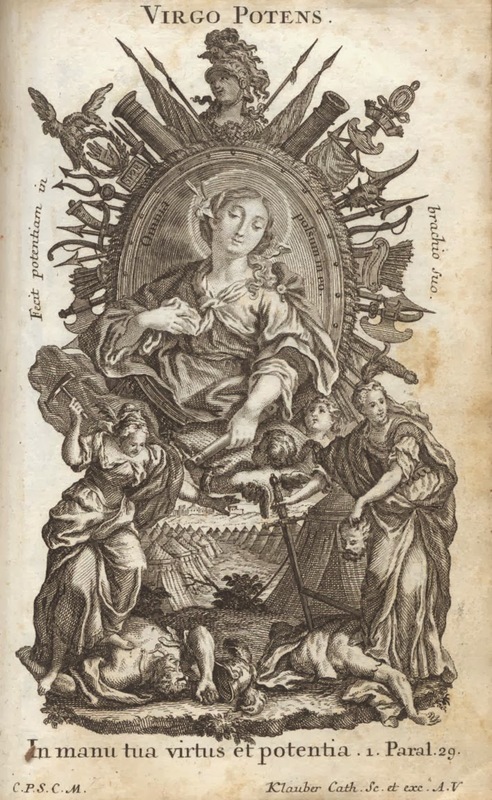 Carmel is the patron of the order and much loved by all the Carmelites. So, what type of prayer is Carmelite prayer? 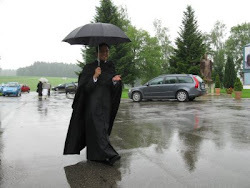 Like the Benedictines, Carmelites study, read holy books, and meditate on a psalm or an episode from the Life of Christ. 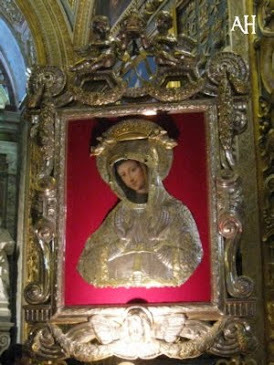 Devotion to Our Lady of Mt. Carmel is also part of Carmelite prayer. The emphasis is not on saying the Divine Office together, but in one's cell, or on one's own, which is a something the lay person can do daily, without a community. The Tertiaries base their prayer on the prayer guidelines from the various constitutions of their groups. By the way, in America, the Tertiaries are now called "Seculars". These Seculars say at least three hours of the Divine Office, on their own daily, plus a half-hour of mental prayer. 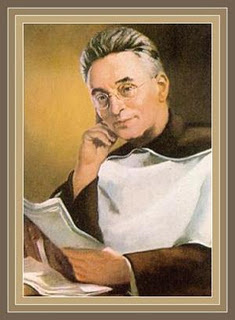 Titus Brandsma's life would be a great example for all those aspiring to follow the Carmelite. St. Teresa's guidelines to prayer may be found in her books, already highlighted on this blog. St. Teresa Benedicta of the Cross brought one of the greatest minds of her generation into the convent. She was Edmund Husserl's greatest student, but a student who grew out of the strictures of atheistic phenomenology, into a Catholic version, and finally, embracing Thomism for her studies and prayer. For the lay person, Teresa Benedicta, or Edith Stein, as she is known in the world still, allows one to apply prayer to the daily anxieties of living in extremely difficult times. Being a Jewish-Catholic, Edith was protected for a time by her order, which moved her to what was thought to be a safe place. However, as we know from her biography, both Sister Teresa and her sister, a lay sister, were arrested and murdered at Auschwitz in 1942. St. Teresa Benedicta was fifty at the time of her death. What intrigues me about this Carmelite are three points for us to consider when looking at her life and prayer. The first point is that she was converted to Catholicism by reading books-by St. Teresa of Avila. This fact alone points to the importance of daily spiritual reading for the lay person. Edith Stein was a lay person when she was drawn to the important books by this Doctor of the Church. Although we must admit that Edith Stein is one of the philosophical stars in the firmament, her example of being converted through reading should be a habit we can easily emulate, even in this day of anti-intellectualism. The busy mom and dad can take time to stop and read something daily. Turn off the radio, the baseball game, go into a quiet corner and read. God blesses us when we take time to read the lives of the saints and their suggestions for a life of holiness. The second point refers to keeping a schedule even in times of chaos. What could be more chaotic for a Jewish-Catholic than the evil of Nazism? St. Teresa Benedicta's prayer and study were not set aside because of "troubles". 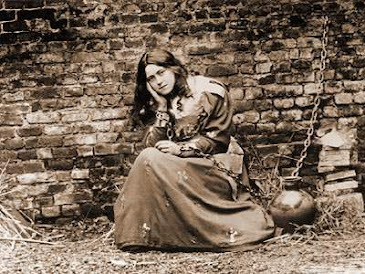 Indeed, some of her most beautiful writings on the Cross and the suffering of Christ were created by her under the anxiety of arrest and death. A habit of prayer transcends time, circumstances, emotional upheaval. In fact, prayer grounds one in God. Her example shows us that one can even face death with peace and courage, if one had learned patience and the death of self through intense prayer. Let me share part of the canonization homily from St. John Paul II, as the Cross was the center of St. Teresa Benedicta's prayer. The Cross must be the center of our prayer as well. This love of the Cross involves each one of us embracing suffering as well as letting Christ take us up into His own Passion and Death. The third point I want to stress is that if one looks for truth in prayer, one will find God. Or, rather, as St. John Paul II noted below, in these excerpts, the Truth, who is a person, seizes one. If we set aside time for prayer, Truth, Who is a Person, will answer us with love. When we pray daily, we place ourselves into a path towards truth, which includes self-knowledge. Carmelites value the cell, the solitude, the silence which takes us into the Truth more closely than we can ever imagine. The method of meditating on the Cross, Passion, and Death of Christ form the beginning of real prayer---meditation comes before contemplation. Have the courage, states St. John Paul II, to decide to follow Christ, give Him time in prayer, suffer in and with Him. 1. “Far be it from me to glory except in the Cross of our Lord Jesus Christ” (Gal 6:14). 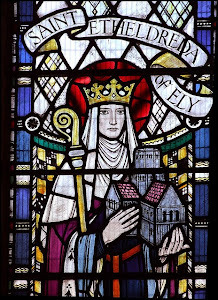 St Paul’s words to the Galatians, which we have just heard, are well suited to the human and spiritual experience of Teresa Benedicta of the Cross, who has been solemnly enrolled among the saints today. She too can repeat with the Apostle: Far be it from me to glory except in the Cross of our Lord Jesus Christ. The Cross of Christ! Ever blossoming, the tree the Cross continues to bear new fruits of salvation. This is why believers look with confidence to the Cross, drawing from its mystery of love the courage and strength to walk faithfully in the footsteps of the crucified and risen Christ. Thus the message of the Cross has entered the hearts of so many men and women and changed their lives. The spiritual experience of Edith Stein is an eloquent example of this extraordinary interior renewal. A young woman in search of the truth has become a saint and martyr through the silent workings of divine grace: Teresa Benedicta of the Cross, who from heaven repeats to us today all the words that marked her life: “Far be it from me to glory except in the Cross of our Lord Jesus Christ”. 2. On 1 May 1987, during my Pastoral Visit to Germany, I had the joy of beatifying this generous witness to the faith in the city of Cologne. Today, 11 years later, here in Rome, in St Peter's Square, I am able solemnly to present this eminent daughter of Israel and faithful daughter of the Church as a saint to the whole world. Today, as then, we bow to the memory of Edith Stein, proclaiming the indomitable witness she bore during her life and especially by her death. 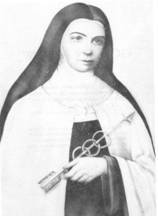 Now alongside Teresa of Avila and Thérèse of Lisieux, another Teresa takes her place among the host of saints who do honour to the Carmelite Order. Dear brothers and sisters who have gathered for this solemn celebration, let us give glory to God for what he has accomplished in Edith Stein. 4. Dear brothers and sisters! 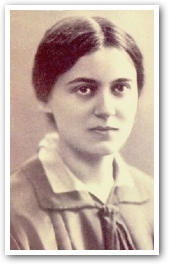 Because she was Jewish, Edith Stein was taken with her sister Rosa and many other Catholic Jews from the Netherlands to the concentration camp in Auschwitz, where she died with them in the gas chambers. Today we remember them all with deep respect. A few days before her deportation, the woman religious had dismissed the question about a possible rescue: “Do not do it! Why should I be spared? Is it not right that I should gain no advantage from my Baptism? If I cannot share the lot of my brothers and sisters, my life, in a certain sense, is destroyed”. From now on, as we celebrate the memory of this new saint from year to year, we must also remember the Shoah, that cruel plan to exterminate a people — a plan to which millions of our Jewish brothers and sisters fell victim. May the Lord let his face shine upon them and grant them peace (cf. Nm 6:25f.). For the love of God and man, once again I raise an anguished cry: May such criminal deeds never be repeated against any ethnic group, against any race, in any corner of this world! It is a cry to everyone: to all people of goodwill; to all who believe in the Just and Eternal God; to all who know they are joined to Christ, the Word of God made man. We must all stand together: human dignity is at stake. There is only one human family. The new saint also insisted on this: “Our love of neighbour is the measure of our love of God. For Christians — and not only for them — no one is a ‘stranger’. The love of Christ knows no borders”. 5. Dear brothers and sisters! The love of Christ was the fire that inflamed the life of St Teresa Benedicta of the Cross. Long before she realized it, she was caught by this fire. At the beginning she devoted herself to freedom. For a long time Edith Stein was a seeker. Her mind never tired of searching and her heart always yearned for hope. She traveled the arduous path of philosophy with passionate enthusiasm. Eventually she was rewarded: she seized the truth. Or better: she was seized by it. Then she discovered that truth had a name: Jesus Christ. From that moment on, the incarnate Word was her One and All. Looking back as a Carmelite on this period of her life, she wrote to a Benedictine nun: “Whoever seeks the truth is seeking God, whether consciously or unconsciously”. And, can we not identify today with what St. John Paul II said here? Also, her words quoted by the saint-pope echo the words of Fr. Chautard examined here last week. St Teresa Benedicta of the Cross says to us all: Do not accept anything as the truth if it lacks love. These next line can become our battle cry in these days of losing religious freedom and freedom of speech......how prophetic were these sentences at the time St. John Paul II shared them with the Church. And do not accept anything as love which lacks truth! One without the other becomes a destructive lie. If we learn to suffer in prayer, and prayer does bring suffering, we can face physical suffering. But, as St. Teresa Benedicta states below, suffering is a mystery for the Bride of Christ, for each one of us. 7. Finally, the new saint teaches us that love for Christ undergoes suffering. Whoever truly loves does not stop at the prospect of suffering: he accepts communion in suffering with the one he loves. How timely are these words. These could be emblazoned today, especially this line--"But nothing is more eloquent than the Cross when silenced." Such is the life of the contemplative, or the martyr. 8. “God is spirit, and those who worship him must worship in spirit and truth” (Jn 4:24). Years ago, I discovered this saintly nun through my studies of phemenology. I knew her first as Edith Stein, then as a great writer of meditations on the Cross. Now, I see her as calling me deeper into contemplation, a model of suffering and prayer. But, she speaks to all lay people, of the need to keep moving towards silence, towards total conversion, towards self-denial. We are all called to do this in prayer, even in our tense lives. St Teresa Benedicta of the Cross, pray for us! Amen. I am book begging here today--right now, ICS Publications has the Letters to Roman Ingarden by St. Teresa Benedicta. If someone would like to get this volume for me, I would appreciate it. 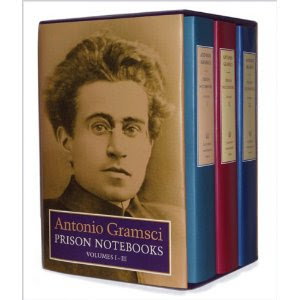 I would also like to have the other volumes 1-11, but that is a lot to ask. God bless you all. I shall be returning to St. Teresa Benedicta, as I asked a friend to borrow a book on her Meditations to share with you, but the book will not get here for several days. But, I am sure your can pick up where I left off here today.